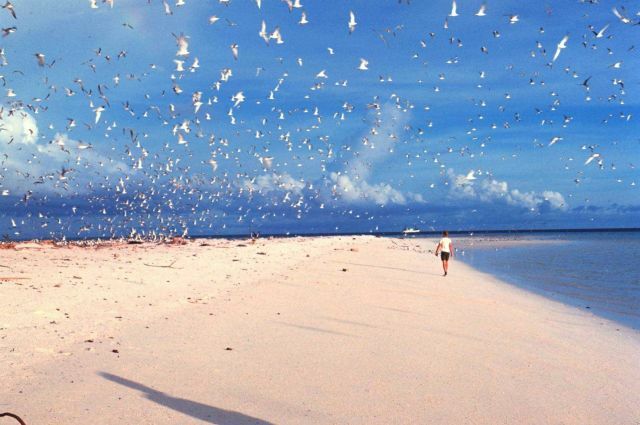 AllRefer.com > Pictures & Images > Terns over nesting area on Helens Island Reef Island. Terns over nesting area on Helens Island Reef Island. Photo Location: Helens Reef, Palau Islands, Western Caroline Is.